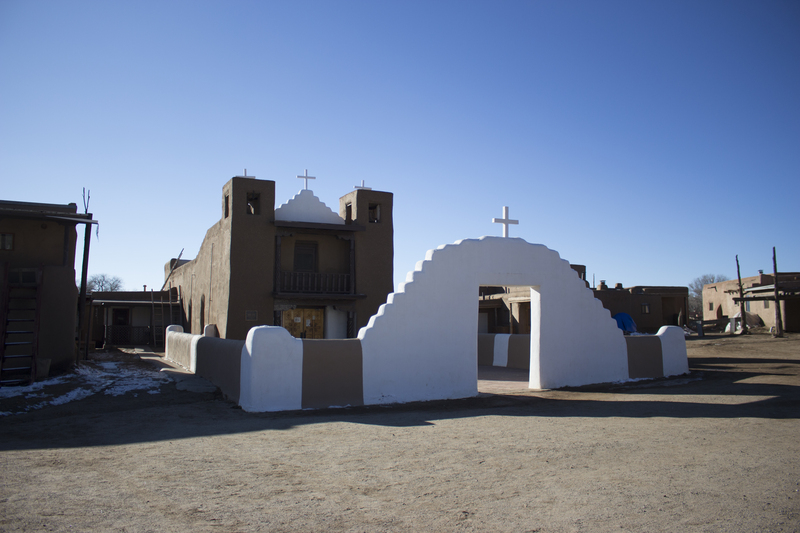 The multi-story, adobe structures have been home to the people of the Taos Pueblo for 1000 years. Photo by Sterling Stowe. We headed over the bridge and out to the Taos Pueblo without really knowing what was ahead. I hadn’t done much research other than I knew it was the oldest continually inhabited dwelling in the United States. Small green road signs pointed us in the right direction, designating the way to the pueblo. We found a parking spot in a muddy lot and made our way to the registration check-in that another sign told us was mandatory. 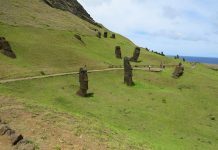 After paying a small fee, the attendant said we were free to wander through on our own or if we preferred we could wait for the guided tour. The next tour didn’t begin for 30 minutes, so we planned to wander through the adobe structures on our own, trying to fathom what life was like here a thousand years ago. Most of the houses were still devoid of running water and electricity. Smoke poured out of some of the chimneys of the occupied homes and one woman was sweeping off her roof. Like we had gone back in time, it was a life without the modern conveniences that most of us have come to take for granted. 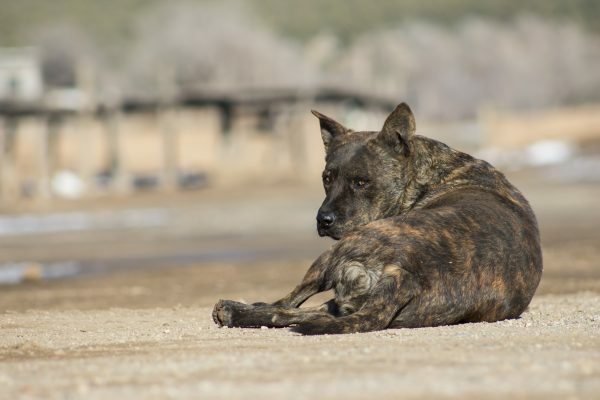 Several dogs roamed freely around the pueblo. Photo by Sterling Stowe. Engrossed in our surroundings, the time slipped by and we nearly missed the next tour. We made it back to the guide just in time and found out there was no one else on the tour. We had our own personal guide who led us around and told us about the history of the town. 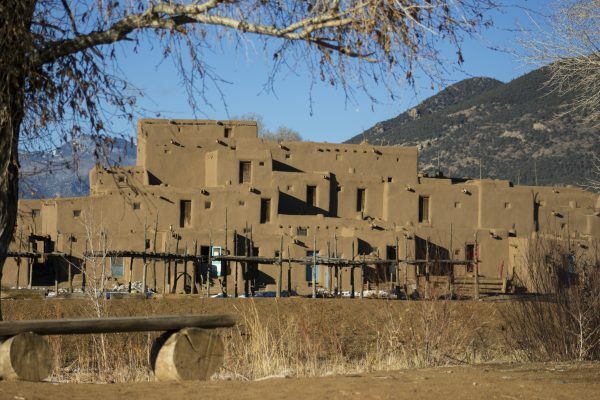 The multi-story adobe buildings have stood the test of time, though it wasn’t always easy. Our guide said there had been multiple wars on the pueblo and its people. Attacks came from the Spanish and other Native American tribes, as well as the United States government. One of the biggest successes for the people here was when former President Nixon gave back the land that held their sacred Blue Lake. The land had previously been taken by Theodore Roosevelt. The remains of the first church, destroyed by the U.S. Army in 1847, sit next to a cemetery. Photo by Sterling Stowe. After the tour, we wandered through the alleys of the adobe buildings heading for the ones with smoke coming out of the top. Some of the inhabitants opened their homes for visitors to come in and see the goods they were selling and get a glimpse into the ancient lifestyle. Breakfast had long since worn off by the time we found a home that was selling homemade food. We jumped at the opportunity and had a delicious bowl of chili and some fry bread. The one-room shop was manned by a single woman. A tiny kitchen was nestled in the far corner and a counter separated it from the lone table where we took our lunch. We talked with the shopkeeper about her family. She told us in a worried voice how many of them had gone to North Dakota to protest the pipeline. This new church was built in 1850 to replace the one that was destroyed. Photo by Sterling Stowe. Like the protesters in North Dakota, water is important to the people of the Taos Pueblo because their drinking water comes from a stream. We thanked her for the meal and the conversation as we headed out. On our way back, I couldn’t help but think of the similarities between the pueblo and the Earthship community. Both were off the grid. Both held a high respect for nature. 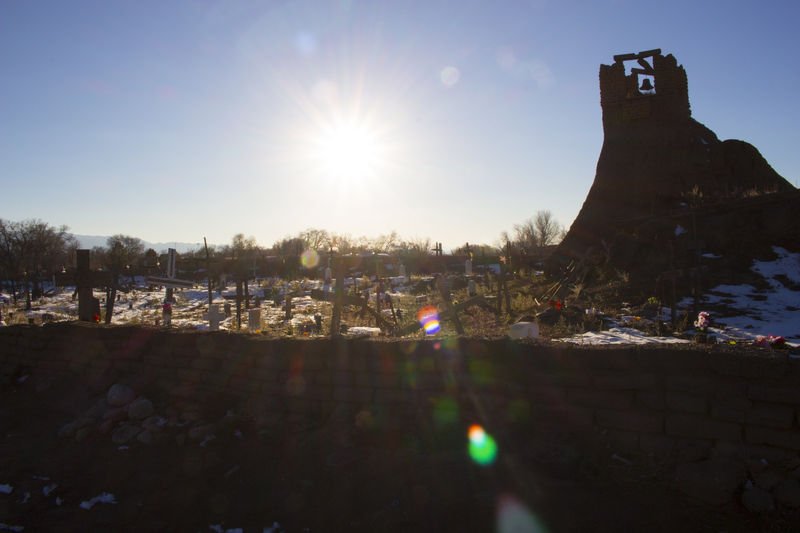 The Earthships felt like the modern-day pueblo. Maybe the Earthship community will still be around in another thousand years.